Late August is the time of year when our home garden shifts into high production mode. From now until the first killing frost, which typically comes in mid-October in in our area, it is a time of plenty. We will eat a lot of fresh produce, and we will work at storing some for the coming winter months. 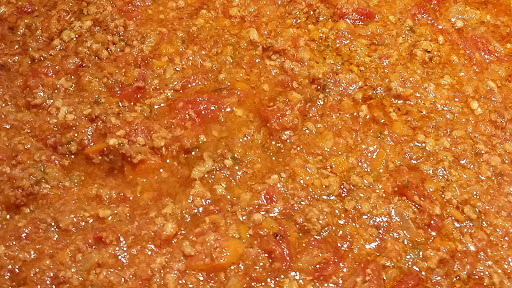 One of my favorites is to make a big batch of Bolognese sauce. 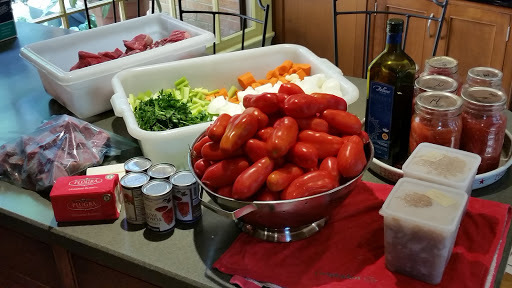 I used to make smaller batches of Bolognese when I got in the spirit, but several years ago I decided to cook a big batch for a group campout to feed over 100 people. I got some folks to help me with the peeling and chopping ahead of time, and then all we had to do was re-heat the sauce on site, cook a load of pasta, and serve with some bread, a salad, and some grated cheese. While we were re-heating the sauce at camp, some kids and parents came up and told me that the sauce did not look like any spaghetti sauce they had ever eaten and they weren’t too sure about it. OK, I replied, then just take some pasta and put some butter and cheese on it. After dinner, people were amazed. Kids loved the sauce, and *gasp* it was chock full of vegetables! I came home from camping and made another large batch just for us. I froze some in quart freezer containers. Well after the garden was dormant for the season, I used that sauce to make lasagna, put it over my favorite rigatoni, and used it in braising liquid for stews and pot roasts. Delicious! Now I have a chamber vacuum sealer that I use for sous vide cooking, and it makes storing the sauce a snap. I use a rolled up flexible cutting board as a funnel to fill the bags, and the chamber vac allows the pouches to be sealed without any issues of seeping liquid in the heat seal. The pouches store flat in the deep freeze, and because they are thin, they thaw very quickly, too. My main determination of when to make the sauce is when we have a good crop of sauce tomatoes. 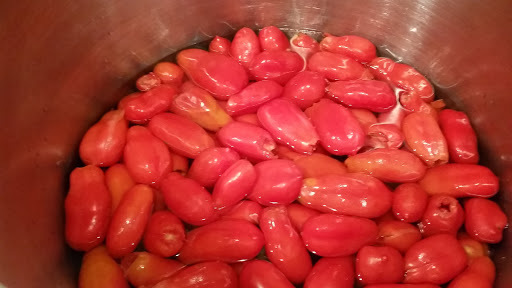 This year I planted a lot of San Marzano tomatoes to can for pizza sauce. A big batch of sauce takes a lot of tomatoes. Both fresh tomatoes and previously canned tomatoes are used in this recipe, so it’s also a good way to use up tomatoes from the prior year to make room for the new crop. I adapted this recipe from one of my favorite books, “ThePasta Bible.” That is a great book covering pasta dishes in various cuisines and techniques. I highly recommend it if you can find a copy. This batch makes about five gallons of sauce depending on how long and how much you let it reduce. Today’s batch made exactly five gallons (20 quarts). Start by assembling all of your ingredients and getting everything prepped. I use a food processor to chop all of the vegetables. For smaller batches, a knife allows you to chop in nice even pieces which have the best appearance. For a batch of this size, a food processor is a must and it does a decent job. Just don’t overload the food processor, and pulse to evenly chop. Go through the vegetables to make sure there are no large pieces. If you see any large pieces, fish them out and chop into smaller pieces. 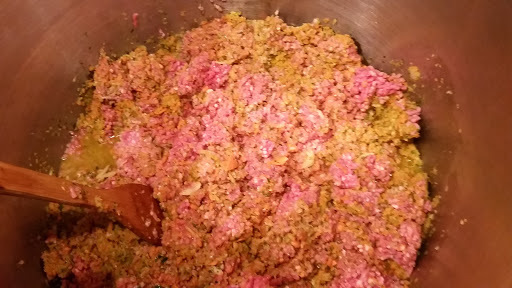 I have a large meat grinder, and I find fresh ground meat works best for this sauce. 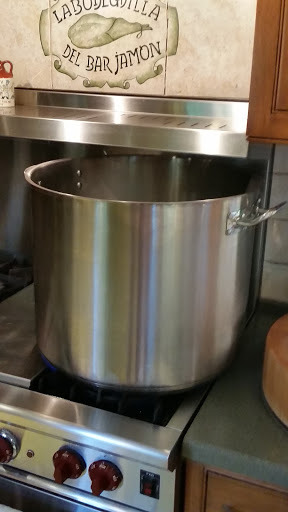 I have a 60 quart stock pot. You need at least a 28 quart pot for this size batch. The 60 quart pot covers two burners on our range, so there is a lot of flexibility in how to apply heat on this pot. It also has a lot of surface area on top of the sauce to aid in reducing it (more on that later). It also has a nice thick metal base to avoid scorching. Heat the olive oil in the large pot. Stir in the carrot, onion, and garlic and cook until it starts to brown. This requires a lot of stirring. Add in the celery and parsley and cook until everything is soft. Add in the beef and pork. 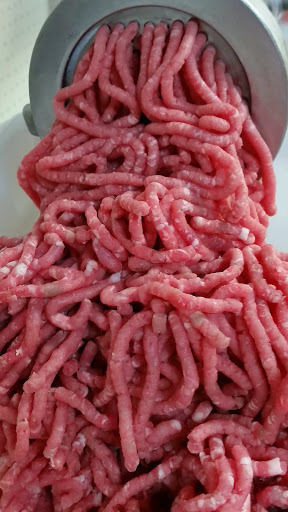 Stir and cook until the meat is well browned and no large clumps remain. 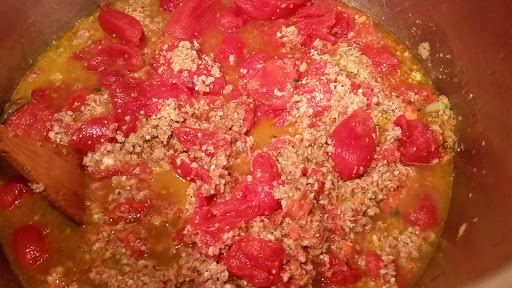 Break up any clumps of meat so the sauce has a uniform texture. Add the ham, and cook through until everything is hot. Add the tomatoes and the butter. Bring the pot to a vigorous simmer. 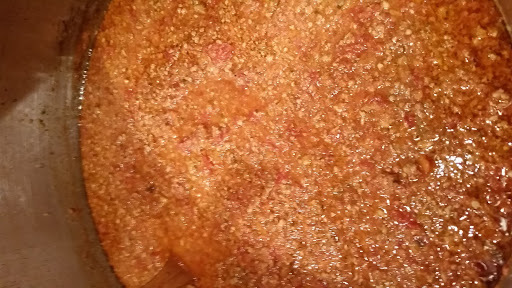 Add the veal stock and tomato paste. Continue simmering uncovered for about an hour until the tomatoes break down and the sauce starts to thicken. Taste and adjust seasoning as needed. Lower the heat to the lowest possible simmer. Place the lid on the pot, just barely cracked. Allow to simmer overnight. The sauce will reduce by about 3-4 quarts over this time. Taste and adjust seasoning again. Remove from heat and place in large containers. Allow to cool, preferably in an ice bath. Once cooled, store in fridge. Make some lasagna! Package the rest for freezing.